This blog contains ads. Southeast Michigan Summer Concert Series. 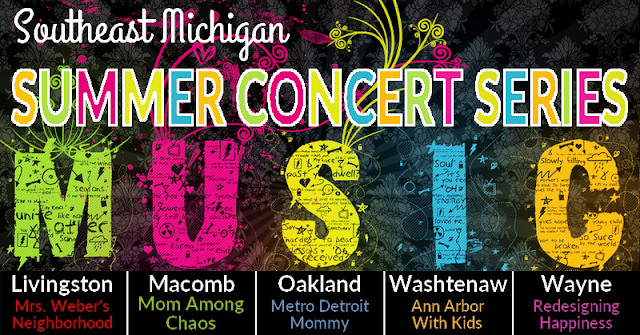 I'm teaming up with some of my favorite bloggers in the Metro Detroit Area to bring you the Southeast Michigan Summer Concert Series. So, dig out those lawn chairs and get ready to relax and enjoy the fantastic tunes from the Motor City area!